A dark spicy oriental paired with a name evoking exotic and distant locales is an alluring combination. Marrakech speaks of the camel trails in the dessert, the noise of spice markets and the opulent scent of nightblooming jasmine hanging in the warm evening air. The romanticism of these images is distilled into the fragrances that comprise Serge Lutens range, however Aesop Marrakech is a raw take, a blast of hot dessert wind, rather than a delicate breeze carrying the scented secrets of the Middle Eastern palaces. Marrakech, created by Australian company Aesop, is a fragrance composed solely of the non-synthetic ingredients. Spice and wood oils are combined into a linear fragrance that rather than developing from one stage into the next merely fades, its initial burning sensation becoming muted over time. 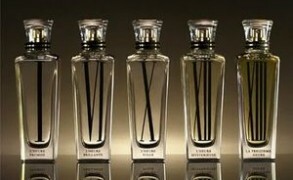 It is a scent that might actually fill a place someplace in Morocco, rather than a dream-like vision of it. Thus, Marrakech is the heavy and pungent smell of the lane where medicinal wares are traded along with attars. The camphorous sharpness of clove rises in unison with the resinous facets of cardamom, underpinned by the pungency of patchouli. The effect has a sharp and raw sensation akin to catching a whiff of Tiger balm. The fragrance mellows significantly after the initial spicy sharpness, however it retains a heavy and dark aspect. The density of sandalwood endows the composition with the opaque and sonorous quality. Nevertheless, that aspect would not have been problematic, given the fact that patchouli with its uplifting and effervescent earthiness counterbalances the effect to a degree. However, the lack of softness is makes Marrakech a difficult composition to wear. The resinous dryness that fades slowly has a one-dimensional flat quality, with the fragrance reminding me either of the attar blend guests are anointed with during the Hindu weddings or the baptismal oil of the Orthodox church. Either scent is evocative and interesting; however smelling of it on daily basis is a whole another matter. The booklet that accompanies Marrakech provides information on the creation of the fragrance as well as a thorough instruction on how to enjoy and apply it, which I would take to be tongue in cheek, since in that light it is rather entertaining. For one thing, one is recommended to apply Marrakech “eleven minutes before expected encounters,” which certainly is out of a question given my level of time management. Then, one is told to “reapply at every opportunity,” which is a doubtful advice, given the strength and the tenacity of the fragrance. Expected encounters might not materialize at this rate. Moreover, the booklet encourages having assistance during the application, with the Eau de Toilette “caressed over the skin concentrating on the nape of the neck, temples and arms.” Now, that was clearly an oversight on my part. Notes include Patchouli oil, Neroli oil, Cardamom oil, Rose otto, Bergamot oil, Jasmine absolute, Clove oil, Sandalwood oil. 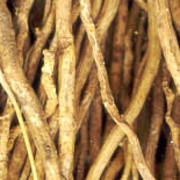 Photo of spices from Plant-biology. It´s really hard to find Marrakech somewhere – as you´ve mentioned it´s only available at some salespoints worldwide & a location in Germany isn´t among them. Thanks for killing another lemming; I still want to sample this, but luckily, the passionate intensity to do so has abated. Victoria’s Own: Great Review! Welcome back, not that you want to be. I can totally relate to that! Ok, the eleven minute rule is pretty amusing, especially for life in California. mreenymo: This is one of the few times that I can honestly say, V, that I am glad this fragrance is not easily obtainable! :):)Your description is beautiful as always, but those notes do not capture my fancy. Evan: “Thus, Marrakech is the heavy and pungent smell of the lane where medicinal wares are traded along with attars. In my experience, this is the odor profile of EVERY “all-natural” perfume. Tania: Excellent review, and very funny! A good instruction booklet is worth a lot. The specificity of ‘eleven minutes’ is particularly winning. Heaven knows when you’re heading for an encounter, you’ve got to keep one eye on the clock and the other on your atomizer. I know L loved this, but I didn’t think it sounded like something I needed to seek out at all costs, and now you’ve confirmed that this is the case. Tania: Evan: It doesn’t sound like there’s a ‘hegemonic vanilla’ to fear. Bela: That’s exactly how I felt about it, V! Did you get a ‘booklet’? I only got a brown ‘postcard’ with that hilarious blurb printed in the minutest of fonts, which my old eyes found very difficult to decipher. Perhaps Marrakech is only for people who weren’t yet adults in the ’70s and therefore don’t mind smelling like hippies, man! I especially love the advice to splash it in the palms of one’s clean hands, considering the exorbitant price of the stuff. And the cellaring for deserving offspring. LOL! Bela: I wish I’d seen the booklet for Il Profumo. Shame! I could do with another good laugh today. BoisdeJasmin: T, Ambre Sultan and the pirate costume sound like a great combination! Marrakech would suit a Bedouin costume, I suppose, or an Egyptian mummy, particularly since LT compared it to embalming fluid and I would have to agree. BoisdeJasmin: Ann, it is worth sampling, and perhaps you might like it better than I did. Bela: Drat, V, I spent ages typing out the blurb yesterday: never thought it was there, on their website. What a b***** waste of time! LOL! BoisdeJasmin: Oh, no! Well, I did not realize that it was on the site at first either, however when I was searching for the retail venues, I went to there and discovered that marketing copy. BoisdeJasmin: Anya, the camphorous element is not the most assertive, although it is there. Clove is a difficult note for me, because I find it overwhelming in large amounts. As for who to trust, I do not know. Probably the best policy is to sample yourself. I once made a joke to an Australian distiller who was thinking of getting into perfumery using Aussie oils that they would make great decongestants.